I have the cover plate, and the bolt that keeps the plates tight but I need the center caps. 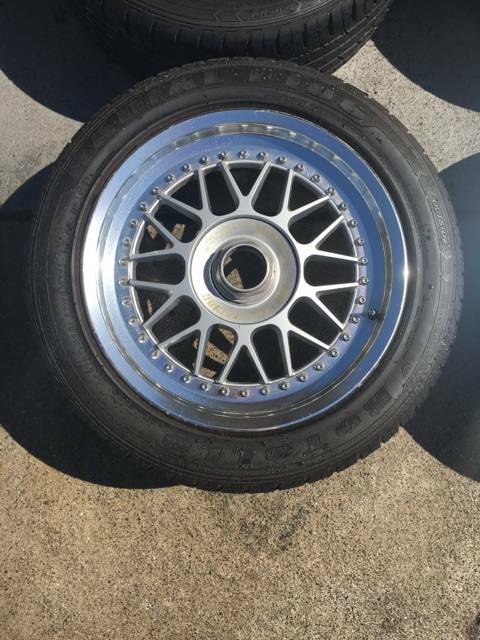 PM me if you have or know someone that has these center caps please. Here's a pic of what the wheels look like. Oooo jackpot. I'ma give em a call after work and if they don't have them maybe they can keep on the lookout for me. i scored 3 off ebay.de a while ago. i have 5 now just incase one gets lost/stolen. I searched for a good 7 months. hopefully you find them faster than i did. Looking for a 3.46 or lower LSD. Lets make a deal. What'd you search on eBay.de? yea, stalked the site for months. You can try your luck here as well. I was going to call them but then got luck on the bay.